Minister for Transport Jone Usamate says if it becomes necessary, he will talk to all the parties regarding reports that some bus companies are planning to go on a strike. 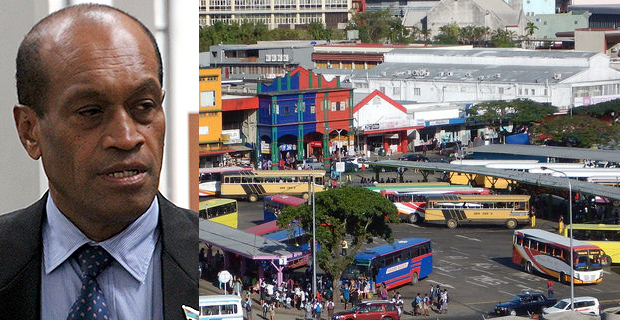 Usamate says he is aware of meetings that the Fiji Bus Operators Association has been having in the last few days and he will be in touch with the Land Transport Authority which is responsible for public transport. The Minister for Transport says he has previously met the officials of the Fiji Bus Operators Association however they have not written to him about the issue. Usamate stresses that the work of the Independent Bus Fare Review Committee needs to be completed. The Independent Bus Fare Review Committee Chairperson and the Fijian Competition and Consumer Commission CEO Joel Abraham has also urged bus owners to reconsider their plans to go on strike as it will affect thousands of Fijians negatively especially considering we are now experiencing bad weather. Abraham says he maintains his stance that the Fiji Bus Operators Association have to provide proper financial justification as to why they want a fare increase. We have sent questions to the President of Fiji Bus Operators Association Richard Lal.